“Hoom-chi is the sound of calling out to the parents, heaven and earth. It is the sound of humanity calling out to God like a calf lowing to its mother. “The Taeeulju Mantra must be chanted to find your roots. The Taeeulju Mantra is a mantra for receiving water qi. Brandon: Can I ask you a question that I have been meaning to ask? 내가 전부터 쭉 물어보고 싶었던 게 있는데 물어봐도 될까? I: Sure, what is it? Brandon: You chant this mantra called the ‘Taeeulju Mantra’ all the time and I just wanna know why. What’s so special about this mantra? 네가 태을주라는 주문을 항상 읽고 다니잖아. 그걸 왜 읽는지 그냥 궁금해서. 그 주문이 특별한 거야? 음.. 특별하지, 암. 이 주문이 특별한 이유는 상제님께서 천지공사를 행하실 때 성도들에게 이 태을주를 내려 주시면서 ‘개벽기에 인류를 건지는 주문’이라고 하셨기 때문이야. Brandon: During the Autumn Gaebyeok? The transition time between the cosmic summer and cosmic autumn we talked about last time? 가을개벽기에? 전에 우리가 얘기했던 우주의 여름에서 가을로 넘어가는 시기 말이지? I: Exactly. During the Autumn Gaebyeok, catastrophes in nature and in human civilization occur and the Taeeulju Mantra has a sort of divine authority for those who chant it to safely pass that difficult time. 정확해. 가을개벽기에는 자연적, 문명적인 재난이 일어나는데, 태을주에는 그걸 읽는 사람들이 그 힘든 시기를 무사히 넘길 수 있게 하는 신권이 들어 있어. Brandon: Divine authority? What does that mean? Is it like that you will have a superpower like Superman and nothing can come in your way? 신권? 그게 무슨 뜻인데? 슈퍼맨처럼 엄청난 힘이 생겨서 어떤 것도 널 막을 수 없게 되는 거야? I: No, it’s nothing like that. I said ‘Divine authority’ because Sangjenim, the true God of the universe, announced that the Taeeulju Mantra is the medicine to save people at the time of gaebyeok. Think of it as a royal order from Sangjenim. 아니 그런 게 아니라, 내가 ‘신권’이라고 한 건 우주의 참하느님이신 상제님께서 태을주가 개벽기에 사람들을 살리는 약이라고 선포하셨기 때문이야. 상제님이 내리신 칙령이라고 생각하면 돼.
Brandon: Ah, I see. So, it’s like a king’s order. But what I’m more curious to know is the meaning of the mantra. Can you tell me the meaning of the words? 아 그렇구나. 왕의 명령 같은 거네? 그런데 내가 더 궁금한 건 주문의 의미거든. 주문의 뜻을 좀 설명해 줄 수 있어? 물론이지! 먼저 태을주의 첫 글자인 ‘훔’에 대해서 종도사님께서는 우주 안에 존재하는 모든 소리를 머금고 있는 창조의 근원 소리라고 하셨어. 또 ‘치’는 신과 하나 됨을 뜻해. 상제님께서는 ‘훔치’는 천지부모를 부르는 소리라고 말씀하셨지. Brandon: Then what about the words that come after, ‘Taeeulcheon Sangwongoon’? 그러면 그 다음에 있는 ‘태을천 상원군’은 무슨 내용이야? I: In the spirit realm of the universe, there is Taeeulcheon. Taeeulcheon means Taeeul Heaven which is the root heaven of dao. And the presiding god of this Taeeulcheon is Taeeulcheon Sangwongun. 우주의 영계에는 태을천이라는 곳이 있어. 태을천은 태을 하늘이란 뜻인데 ‘도의 뿌리 하늘’이라고 보면 돼. 그 태을천의 주신(主神)이 바로 태을천 상원군이야. Brandon: ‘The root heaven of dao’? I: It means that saints like Jesus, Shakyamuni and Confucius received their enlightenment from this Taeeulcheon. His Holiness the Taesang Jongdosanim said Taeeulcheon is the womb of the universe. And His Holiness the Jongdosanim also said Taeeulcheon is the source of human life and enlightenment. 무슨 말이냐면 예수, 석가모니, 공자 같은 성인들도 이곳 태을천으로부터 도통을 내려 받았다는 뜻이야. 태상종도사님께서 태을천이 우주의 자궁이라고 말씀하신 적이 있어. 종도사님께서는 태을천은 인간 생명과 깨달음의 근원이라고 하셨고. Brandon: If that’s true, can I receive enlightenment from Taeeulcheon Heaven when I meditate with the Taeeulju Mantra? 그게 사실이면 나도 태을주 수행을 하면 태을천에서 도통을 받을 수 있어? I: Yeah, if you really devote yourself to the Taeeulju Mantra meditation, you’ll definitely attain the fruit of your hard work someday. But this heaven isn’t just there for you to receive enlightenment. The Taeeulcheon Heaven is the origin of all human lives, so what really matters is that you’re becoming one with the origin. 그럼~ 네가 정말 일심으로 태을주 수행에 전념한다면 언젠가는 네가 노력한 만큼의 열매를 얻겠지. 하지만 태을천은 단지 너한테 도통을 내려 주기 위해 존재하는 곳이 아니야. 태을천은 모든 인류의 생명의 근원이기 때문에 그 근원과 하나 되는 게 더 중요한 거지. Brandon: Then let me ask you one last question. How do I become one with the Taeeulcheon Heaven? 그럼 마지막으로 하나만 더 물어볼게. 어떻게 해야 태을천과 하나가 되는 거야? I: As I told you, the Taeeulju Mantra is the mantra through which you can call out to heaven and earth, your parents, and Taeeulcheon Sangwongun. 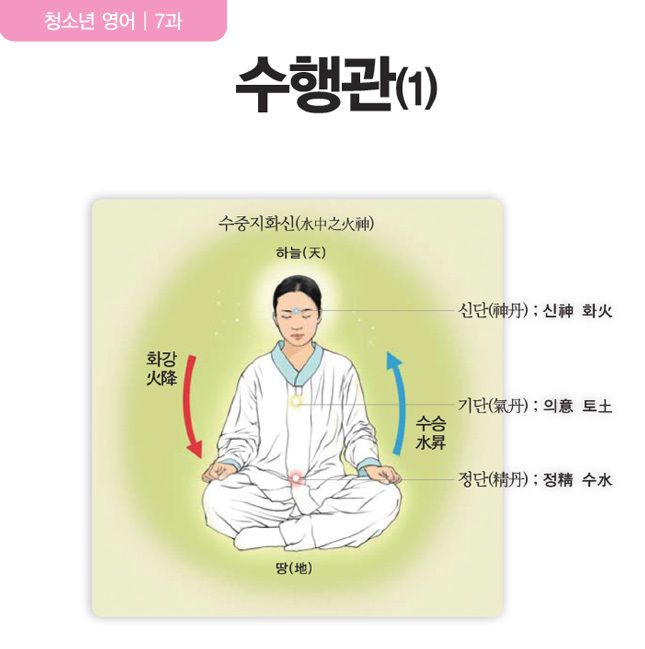 When you faithfully chant the Taeeulju Mantra, the sound vibration within the mantra connects you to the sacred energy of the Taeeulcheon Heaven. 내가 이야기했듯이, 태을주는 천지부모와 태을천 상원군님을 부르는 주문이거든. 태을주를 일심으로 읽으면 주문 소리에 깃든 파동이 태을천의 신성한 에너지와 너를 연결시켜 주는 거야. Brandon: Ah! Just like tuning in to a radio station? 아! 라디오 주파수를 맞추는 것처럼? I: That’s right. It’s like a radio which connects us to the Taeeulcheon Heaven. His Holiness the Jongdosanim once taught us that ‘a mantra is a holy instrument that connects your mind and body with the universe’. 맞아. 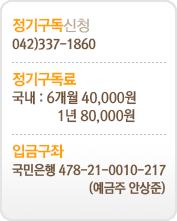 우리와 태을천을 연결해 주는 라디오 같은 거라고 볼 수 있지. 종도사님께서는 주문이 내 몸과 마음을 우주와 연결하는 신령한 도구라고 정의해 주셨어. Brandon: I didn’t tell you this but I actually wanted to learn how to meditate but I wasn’t really sure. But after talking with you, I really want to try the Taeeulju Mantra meditation some time. 나도 사실은 가끔 수행을 배우고 싶었긴 했는데 확신이 좀 없었어. 그런데 네가 이렇게 자세히 이야길 해 주니까 태을주 수행 한번 해보고 싶다, 야.
I: Seriously? Wow, #I didn’t expect you of all people to say something like that.# If you really want to learn about the Taeeulju Mantra meditation, why not? 너 진짜야? 와~! 난 다른 사람은 몰라도 너한테 이런 얘기 들을 줄은 몰랐어. 네가 정말 태을주 수행을 배우고 싶다면 안 될 건 없지! 1. I have been meaning to + 동사 ~. 2. What’s so special about ~? ~가 어떤 점에서 그렇게 특별한가요? 3. What really matters is ~. 4. I didn’t expect you to + 동사 ~ . 네가 ~할 거라곤 미처 기대하지 않았어. 1. Can I ask you a question that I have been meaning to ask? 전부터 쭉 물어보고 싶었던 게 있는데 물어봐도 될까? There’s one thing that I’ve been meaning to try when I visit Korea. 한국에 가면 해 보고 싶었던 게 한 가지 있어요. If you’ve been meaning to learn about Korean history, you’ll love this book, Hwandangogi! 한국 역사에 대해 배우고 싶으셨다면, 이 책 『환단고기』를 좋아하실 거예요! [Dig Deeper!] 는 현재완료 시제 표현입니다. 즉 예전부터 지금까지 어떤 일을 계속해 오고 있을 때 사용하는 표현입니다. 그래서 I have been meaning to ~ 라고 하면 ‘예전부터 ~하려고 했다’라는 뜻입니다. 2. I just wanna know why. What’s so special about this mantra? 그냥 궁금해서. 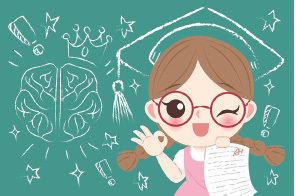 어떤 점에서 이 주문이 그렇게 특별한 건데? What’s so special about the mantra meditation? 주문 수행이 어떤 점에서 그렇게 특별한 거야? We wanted to find out about what’s so special about the Hongshan culture. 우리는 홍산문화가 가진 특별한 점들을 알아내고 싶었습니다. [Dig Deeper!] What’s so special about ~? 이 표현에서 what은 의문대명사로, ‘무엇, 어떤 것’ 정도의 뜻을 갖고 있습니다. 3. What really matters is that you’re becoming one with the origin. 정말 중요한 건 네가 그 근원과 하나가 된다는 거지. What really matters is North Korea’s commitment to denuclearization. 정말 중요한 것은 비핵화에 대한 북한의 약속이다. Through meditation, you’ll see what really matters to us who’re living at this time of gaebyeok. 당신은 수행을 통해, 개벽의 때를 살고 있는 우리에게 정말 중요한 것이 무엇인지 알게 될 것입니다. 4. I didn’t expect you of all people to say something like that. 난 다른 사람은 몰라도 너한테 이런 얘기 들을 줄은 몰랐어. I didn’t expect you to be so fluent in English. 나는 네가 영어를 이렇게 유창하게 할 줄은 몰랐어. I didn’t expect him to come all the way to attend the chiseong. 그가 치성에 참례하려고 그 먼 길을 오다니. [Dig Deeper!] 동사 expect 다음에 별다른 목적어가 없으면 말하는 화자 자신에 대한 표현이 됩니다. 예) I didn’t expect to win this competition. 제가 이 대회에서 이길 거라고는 생각하지 못했어요. ▣ Sangjenim, the true God of the universe, announced that the Taeeulju Mantra is the __________________ to save people at the time of gaebyeok. 우주의 참하느님이신 상제님께서 태을주가 개벽기에 사람들을 살리는 약이라고 말씀하셨다. ▣ Taeeulcheon means Taeeul Heaven which is the root heaven of dao. Taeeulcheon is the __________________ of all human lives and enlightenment. 태을천은 태을 하늘이란 뜻으로 ‘도의 뿌리 하늘’이다. 태을천은 모든 인간의 생명과 도통의 근원이다. ▣ His Holiness the Taesang Jongdosanim said Taeeulcheon is the __________________ of the universe. 태상종도사님 성하께서는 태을천이 우주의 자궁이라고 말씀하셨다. ▣ When you faithfully chant the Taeeulju Mantra, the sound __________________ within the mantra connects you to the sacred energy of the Taeeulcheon Heaven. 태을주를 일심으로 읽으면 주문 소리에 깃든 파동이 당신을 태을천의 신성한 에너지와 연결해준다.